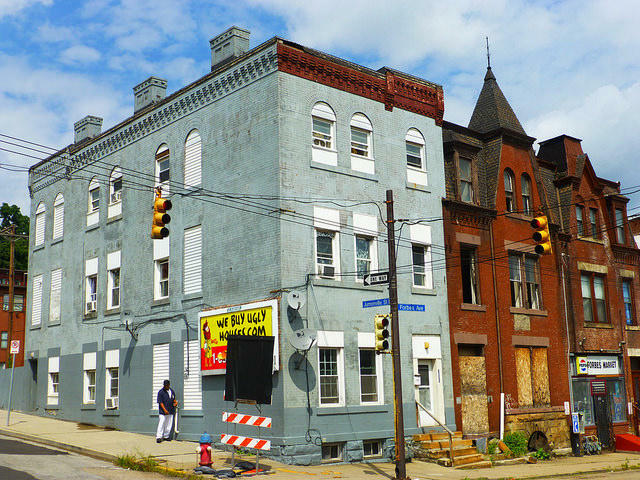 Right now, vacant and boarded-up buildings are a common sight along Forbes Ave. in Uptown. The Port Authority of Allegheny County has been studying the prospect of running a rapid bus line through Uptown from Oakland to downtown for several years now, and though the project is still several more years from becoming a reality, city planners are bracing for a wave of development along the Fifth Avenue and Forbes Avenue corridors. The city will soon begin a two-year planning process to create an eco-innovation district in Uptown. City Planning Director Ray Gastil said the idea is to look at the neighborhood in terms of district-wide systems. “How do we address storm water management? How do we address energy? How do we address the infrastructure of a neighborhood to make it a really sustainable neighborhood looking into the future?” Gastil said. City Councilman Danielle Lavelle said they are even considering ways to generate electricity within the district, something that’s been happening at nearby Duquesne University for more than a decade. Councilwoman Deb Gross, chair of the Land Use and Economic Development committee, applauded the effort. “I think this is tremendously exciting, and I can certainly think of other neighborhoods around the city … where people are interested in generating electricity, decentralizing electric generation as well as going net zero energy and net zero water,” Gross said. Miller called Uptown an “urban laboratory” and said he hopes successful ideas can be implemented in other neighborhoods. While the city engages in the planning process, Miller said they want to keep tighter control of development in the area, and on Wednesday City Council discussed rezoning Uptown as an Interim Planning Overlay District. The designation requires greater community input on a variety of development and construction projects. “Every building demolition, every new or enlarged advertising sign, new or enlarged parking areas that front on major streets, every structure that would be either built or enlarged by 2,400 square feet,” Miller said. Miller said more than 30 teams have responded to a request for qualifications posted by the city for consultants with expertise in urban design, storm water management, energy systems, community processes and other areas. The Uptown eco-innovation district is a key part of the city’s P4 Initiative, which prioritizes performance, place, planet, and people in development projects. The bill to create the IPOD was held for a public hearing. That hearing has not yet been scheduled. 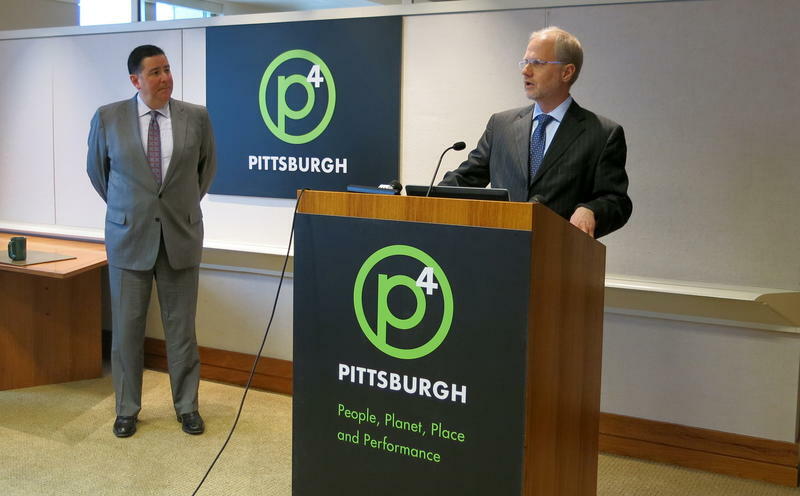 The city of Pittsburgh along with the Heinz Endowments has announced P4: People, Planet, Place and Performance — a framework for a model of redevelopment of city spaces. It will consider the four “Ps” when looking at future development and will connect resources and initiatives already working in the city. The Port Authority of Allegheny County approved shifting $1.56 million dollars from its capital budget to add to the amount needed to study a Bus Rapid Transit (BRT) line between downtown Pittsburgh and Oakland. Port Authority Chairman Bob Hurley said an initial engineering and environmental study is a critical part of the process.